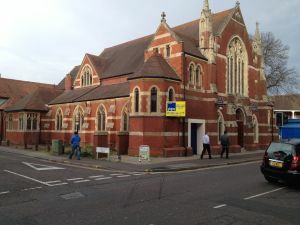 Bournemouth Borough Council: Pure Town Planning has just secured planning permission for a change of use to an office of the first floor of a well known church in Westbourne (hint: there is a Tesco Express on the ground floor!). The first floor of the building received planning permission for a restaurant use almost a year and a half ago, however the owner has been unsuccessful in securing a tenant. Therefore in order to give the owner greater flexibility in marketing the premise, Pure Town Planning were asked to secure an A2/B1 (office) use. Now that planning permission has been approved for a separate A2 and B1 (office) use on this site (as well as the restaurant use), it will open up marketing opportunities by attracting future business occupiers looking for new office space and also still appeal to any potential operators looking to open a restaurant in Westbourne. If you own a commercial premises and would like to explore the possibilities of a change of use, or even an extension of hours or signage application at your premises, then Pure Town Planning are on hand to help – give us a call. As you can see from our recent success at the church – you’ve got to have faith in us… (apologies for the terrible joke!). Pure Town Planning celebrates…six months in business!